Zandy Reich is an American businessman and the president of clothing brand AYR – All Year Round. He was not in the radar of Lea Michele’s fans until the two spotted holding hands together in 2016. It was reported that they were friends, and last summer, they unfolded that they have been dating for while. 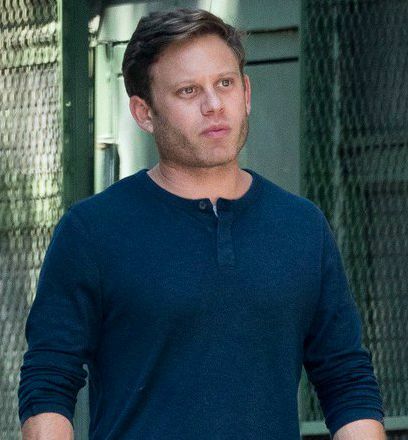 Lea announced on Saturday that she is engaged to Zandy Reich, and of course fans went crazy over the news and want to know everything they can about him. Zandy Reich was born in 1986, in America. His exact birth date and birth place is not known, at least for now. Zandy attended UPenn’s prestigious Wharton School of Business and has a bachelor’s in economics from the University of Pennsylvania, an Ivy League school. Zandy Reich has been dating actress and singer Lea Michele since last summer. They have been friends for a long time before they date each. The two got engaged on April 28, 2018. His favorites are not known at this time. His exact net worth is not available at this time. He was previously the head of business strategy and development at Theory. He’s not found on social media and looks like he is not a social media type.